The 1993 movie Shadowlands dramatizes the late-in-life romance between two writers, C.S. Lewis and Joy Davidman. Lewis is by far the most famous of the two. His series of children’s fantasy novels The Chronicles of Narnia has sold over a hundred million copies. Although the movie is excellent from an artistic point of view, it leaves much to be desired in terms of accuracy. Perhaps the biggest inaccuracy is the depiction of C.S. Lewis, played by Sir Anthony Hopkins, as a quintessential Englishman, a very formal and introverted Oxford don. In reality, Lewis was a hearty character with a booming laugh, frequently described as resembling a farmer more than a professor. And, so far from being the quintessential Englishman, he was Irish—born and bred! The fact that Lewis was Irish is frequently overlooked. On the many posters and calendars which celebrate Ireland’s literary tradition, we will look in vain for Lewis’s rather beefy face. His name does not roll off the tongue when Irish literary luminaries such as Yeats, Shaw, Wilde and Joyce are listed. In the book C.S. Lewis: At Home in Ireland, David Bleakly complains: “The massive Dictionary of Irish Literature (Aldwych Press, London) manages to engage in a detailed study of Irish writers without marking Lewis out for special mention…all he receives is a tiny footnote on two occasions, and then only in reference to the work of others”. It seems a shame that Ireland should overlook such a literary and intellectual giant. Clive Staples Lewis (known to his friends as Jack) was the son of a Belfast solicitor who won a scholarship to Oxford and eventually became a Fellow in English literature there. After twenty-nine years in Oxford, he finished his academic career in Cambridge University. He fought in the First World War, where he was wounded and sent home. Having lost his Christian faith in his youth, he regained it at the age of thirty-three, and went on to become a noted Christian writer. His fame for this began during World War Two, when he made a series of radio broadcasts arguing the truth of the Christian faith. They were enormously popular. As mentioned already, his series of seven children’s novels, The Chronicles of Narnia, have sold over a hundred million copies. In these books, a group of children find themselves transported to the magical world of Narnia. As well as being entertaining yarns, they serve as Christian allegory, in which Jesus is represented as a talking lion called Aslan. Three of the books have been adopted to blockbuster movies. Although the Narnia stories have made Lewis famous as a fantasy writer, relatively few people realize that he played a crucial role in the creation of an even more famous fantasy series, The Lord of the Rings. J.R.R. 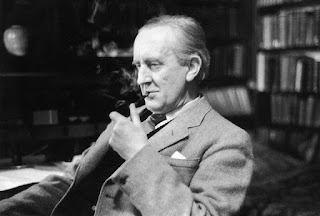 Tolkien, the writer of that most popular of fantasies, was a friend and colleague of Lewis long before either of them became famous. Tolkien was frank about his debt: “He was for long my only audience. Only from him did I ever get the idea that my ‘stuff’ could be more than a private hobby. 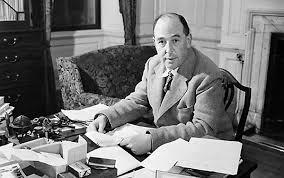 But for his interest and unceasing eagerness for more I should never have brought The L. of the R. to a conclusion.” Along with all this, Lewis has a high reputation as a literary critic and a writer of science fiction. Lewis, then, is a colossal figure of twentieth century literature. One would expect him to be included in any roll-call of Irish literary greats. So why isn’t he? Partly it’s because his books have such an English flavour. The children who find themselves in Narnia are all very English children, and use English slang such as “you’re a brick” and “Great Scott!”. His stories are generally set in England or some fantasy world. Another reason Lewis is often considered British is because he was born into the Unionist tradition in Belfast. Not that Lewis ever showed much partisanship on ‘the Irish question’. As his biographer Alister McGrath tells us: “According to Lewis's diary entry for the critical date of 6 December 1922 [the foundation of the Irish Free State], the big question on his mind was not Irish independence, nor the political future of Belfast, but whether the word breakfast was to be understood as "a cup of tea at eight or a roast of beef at eleven". He hated politics all his life, and this seemed to stem from the sectarian politics he encountered in his childhood. Nor did Lewis’s sense of Irishness fade over time. As McGrath writes: “Lewis returned to Ireland for his annual vacation almost every year of his life, except when prevented by war or illness. He invariably visited the counties of Antrim, Derry, Down (his favourite), and Donegal-- all within the province of Ulster, in its classic sense. 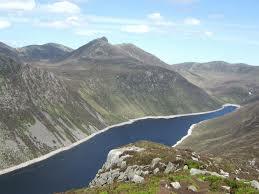 At one point, Lewis even considered permanently renting a cottage in Cloghy, County Down, as the base for his annual walking holidays, which often included strenuous hikes in the Mountains of Mourne. Although Lewis worked in England, his heart was firmly fixed in the northern countries of Ireland, especially County Down. As he once remarked to his Irish student David Bleakley, "Heaven is Oxford lifted and placed in the middle of County Down." So surely it is time to give C.S. Lewis his place amongst Ireland’s literary greats! In something I read, Terence Brown,a(now retired) Trinity College professor, wrote that "the landscape of his'Narnia' chronicles for children owes something to the topography of his native Co.Down"
I would never, ever pick up on such things as I don't notice landscape! I have always wondered about this too, C.S.Lewis' connection to Ireland has been lost somehow. I grew up in Dublin but my mother was born in Larne, Co.Antrim in 1913 before partitition was invented. 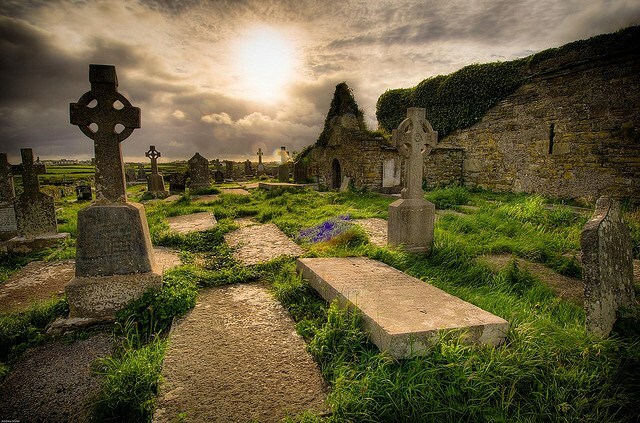 The Ireland that C.S.Lewis was born was undivided. Let's try to rectify the matter. let us point out his connection with Ireland. Thank you for your wise words,and greetings from Sweden,my home for 50 years. You're welcome and thanks for your comment! I seem to have quite a readership in Sweden!